If you are using VMware virtualization software (VMware vSphere, VMware Workstation, VMware Player) to host your Windows Server VMs, you can use the Microsoft Virtual Machine Converter (MVMC) to convert these VMs to the Windows Server Hyper-V format. MVMC is a free download, a solution accelerator officially supported by Microsoft. (1) A Wizard-driven UI that allows conversion of running VMware VMs directly to a Windows Server Hyper-V host within your own network. 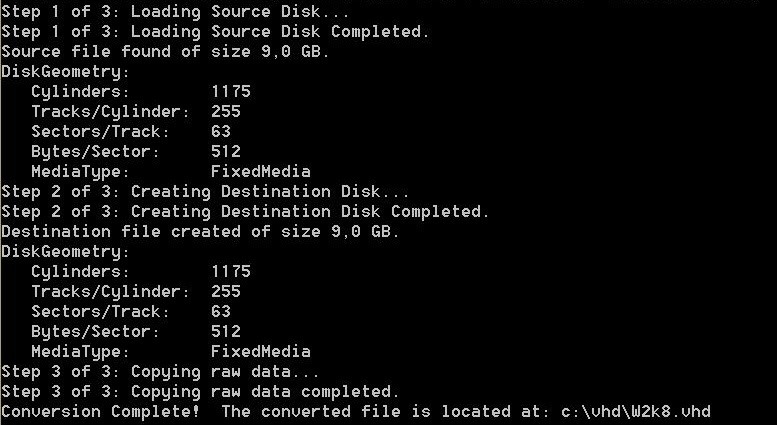 (2) Offline conversion of VMware-based virtual hard disks (VMDK) to Hyper-V-based virtual hard disks (VHD) using the MVMC command line interface (CLI). As the hypervisor used in Windows Azure is based on the Windows Server 2012 bits the file format of guest VMs in Azure is identical with standard Windows Server Hyper-V. This means that we can take the on-premises VHD file, upload it into our Windows Azure subscription and boot a virtual machine off of it. The second approach (offline conversion using the CLI) is the way to go, as it allows direct migration to the cloud without having to use on-premises Hyper-V as an intermediate step. 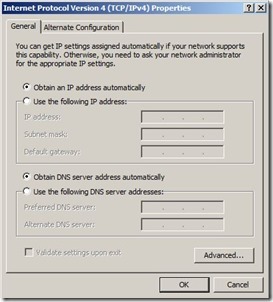 This post will describe how to do it step-by-step, starting from a VMware guest VM all the way to a running Windows Azure instance. 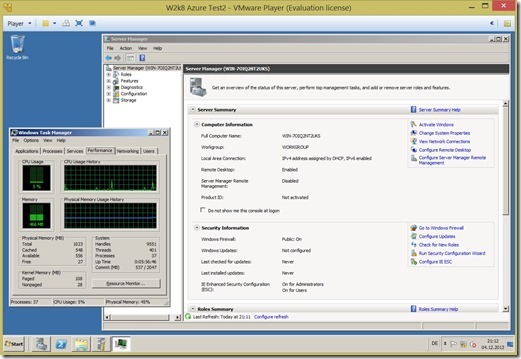 I tested the migration using both VMware Workstation and VMware Player with a Windows Server 2008 R2 guest VM. The migration process could also be automated end-to-end using the MVMC CLI and the Windows Azure PowerShell Cmdlets. Thus you could integrate the procedure with your datacenter automation workflows, e.g. such as those authored and executed within System Center 2012 Orchestrator. There’s a couple of prerequisites and limitations when using MVMC in its current version 1.0, see documentation on the download page and on TechNet. In terms of Azure the only supported OS that can currently be migrated is Windows Server 2008 R2. Older Windows Server OSs (2008 and 2003 SP2) and Client OSs (Windows 7) are supported by MVMC, but cannot be deployed to Windows Azure. First go ahead, download Microsoft Virtual Machine Converter and install it on the machine that you want to run the migration on. MVMC will install to c:\Program Files (x86)\Microsoft Virtual Machine Converter Solution Accelerator. In my case I was running a single processor Windows Server 2008 R2 guest VM with 1GB of memory on a single 9GB primary hard disk. 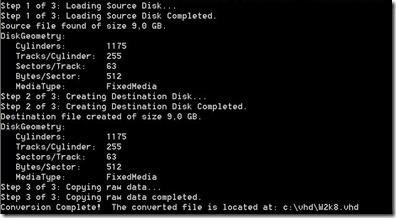 I configured the disk size to a minimum in order to keep upload times to the Windows Azure datacenter as short as possible. 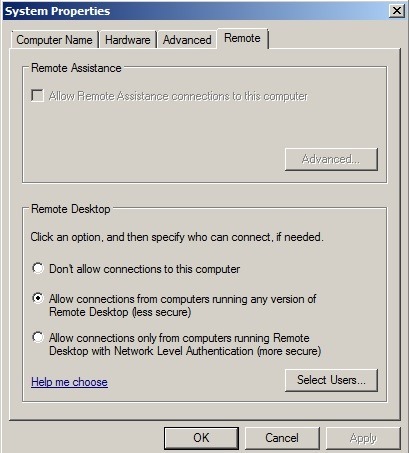 Next, enable Remote Desktop connections and optionally add a user to the ‘Remote Desktop Users’ group. 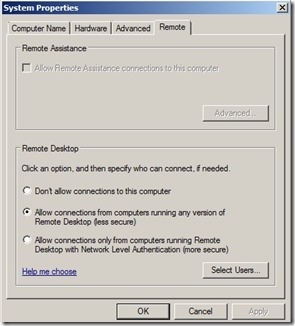 The built-in administrator account has remote access by default. Note: not enabling remote access will leave the VM inaccessible in Azure later on! After you’ve done that shut down the VM. Note: MVMC will uninstall the VMware tools in the guest prior to conversion to provide a clean way for migration to Hyper-V. In my case the conversion completed within 4 minutes for the 9GB vmdk file, reading from and writing to a single SSD. As a result now we have a Hyper-V compliant VHD file. The duration of the upload process will depend on the bandwidth of your Internet link. With a 100 MBit/s uplink it will take around 15 minutes. I am lucky, as in my office we have an even bigger pipe, so uploading to Windows Azure is a blast. Your disk should now show up as VMWareTest in the Disks section under Virtual Machines in the Management Portal. This statement will start your VHD up as a virtual machine w2k8 in the North Europe datacenter within a couple of minutes. 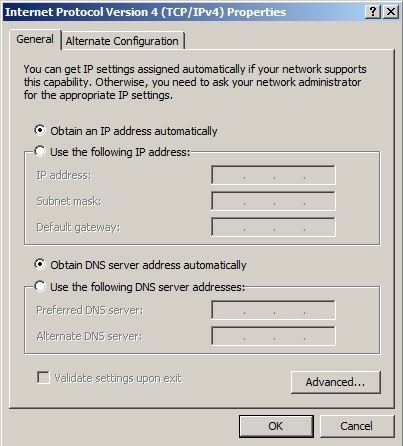 Make sure to replace <yourdnsname> with a unique DNS name of your choice. Note: the guest will keep its hostname from the VMWare image. 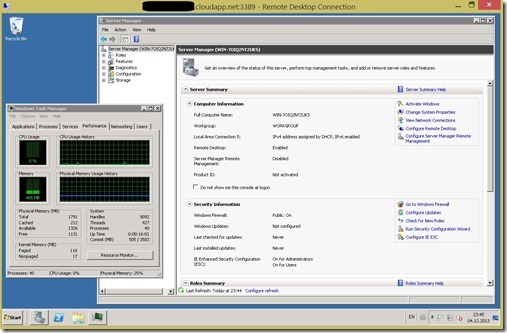 You should now be able to connect to the Windows Azure VM via RDP over port 3389 using the same administrator account (or any other account configured for remote access) you used for your VMware VM on-premises. This entry was posted in Microsoft Azure, VMware and tagged Azure, IaaS, Microsoft Azure, Migration, MVMC, VMware. If I have two disks, one data disk and the other an OS disk, how does the MVMC tool determine which one to register as the OS disk? Pingback: Migrating A Virtual Machine To Azure | 36 Chambers - The Legendary Journeys: Execution to the max!